It's no secret that Opel's upcoming line-up will include the European version of the Chevy Volt (the Ampera), a pure electric vehicle and a minicar. The company's new CEO, Nick Reilly, told Reuters that we can count on a small SUV and new hybrid models to join the Open family within five years. The new dedicated EV is due in three years and current models will likely get the BEV powertrain upgrade not long after the new car's introduction. Even with all of the ties between Opel and companies like GM (still Opel's owner) and Suzuki (which builds the Agila with Opel), Reilly says that his company will have a lot of independence to develop vehicles in the future. If the alternative powertrain and small car additions are any indication of what Reilly has in store, independence is a good thing. Speaking of the GM tie, Reilly also said that Opel expects to sell between 10,000 and 15,000 Amperas each year at the start, and that, "Later it could quickly become substantially more." This is slightly higher than the 10,000 Volts GM hopes they'll sell in the first year that car is available in the states. New Opel line-up will include elecric cars, hybrids, small SUVs, and minicars originally appeared on Autoblog Green on Wed, 16 Dec 2009 16:57:00 EST. Please see our terms for use of feeds. 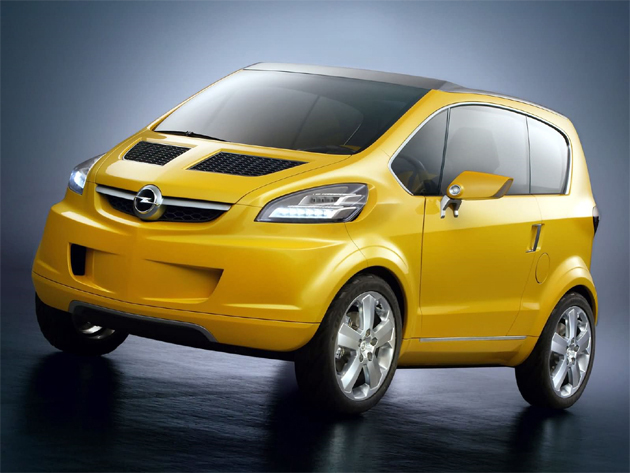 0 comments on "New Opel line-up will include elecric cars, hybrids, small SUVs, and minicars"